Plumbing is an installation of water pipes in the system for the distribution to buildings, for heating, sanitation and drinking water. When you set up a new house, plumbing is one of the essential activities you should consider, due to the necessity of it. Some people may think that a plumbing issue is easy to handle by themselves, and they are not aware of the damage that might happen because of it, as it may cause even more problems in the long run. So, hiring a professional is most likely the right decision. Everyone should know when it is the right time to hire a plumber, you don’t have to wait until there is a risk to gain more damage. The plumber is the one who installs or repairs plumbing fixtures and piping systems and equipment such as water heaters. Extensive damage to water pipes, this is a problem usually caused by freezing and it takes a lot of time to be fixed, so you need to consider hiring a professional to fix it properly. Installing plumbing fixtures requires a professional, since this work needs to do be done in a correct way, the first time around. When you want to remodel your house, professional plumbers will be effective to determine the best way of action, and he can also provide solutions for maximum cost savings. Plumbers can make sure you have water whenever you need it, by replacing damaged pipes. Fixing leaks and replacing damaged pipes will save a lot of money on energy bills. Cleaning your drain by yourself is usually a waste of time. professionals have the right equipment and can do a superior job. Working with hot water, pipes and garbage disposals is more difficult than it seems. Why sacrifice your comfort to do these difficult jobs. Hiring a professional plumber is a much better option. Doing these jobs yourself might be dangerous, as you will probably have to deal with a lack of experience and to insure your safety, and the safety of you family members living in your house, it is advisable to hire a professional to finish these jobs safely. Accidents happens because of broken pipes, that may lead to damages of your property, which will cost you more than you planned for, while hiring a professional can help you to protect your property and minimize costs. Regular check-ups by a professional plumber will prevent a lot of problems before they happen and will save you a lot of money. You can rest assured that the work will be done in a careful manner to prevent any leakage in the house. 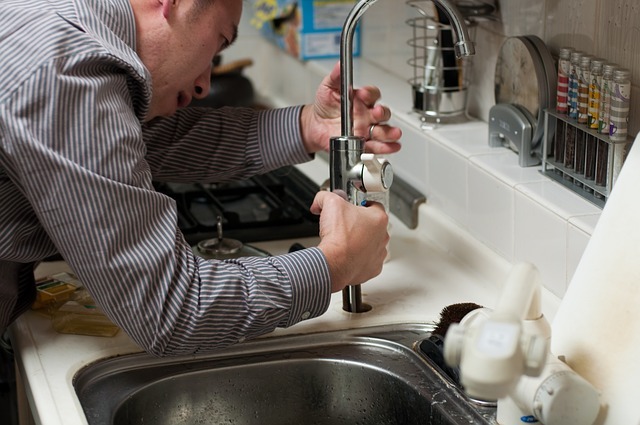 A licensed plumber will ensure you that the job is done professionally, and without any wastage of money and time. Note: You should think patiently before you take a decision to replace a water heater by yourself, because that might be very dangerous. Sometimes, water pressure gets too low, it is a problem that may be caused by different factors, like obstructions in the pipes of the water, low pressure from the water supplier, etc. If there is no hot water, this is one of the problems for which it is hard to find its cause, it is difficult to fix and the cause may be in the heating elements. – Frozen pipes: when pipes freeze you should check if any pipe already burst. If it has, that’s bad news and you should immediately find a plumber. The plumber can replace the frozen pipes easily. Damage in pipes and leaks will cause a waste of a lot of water and may even cause a mold problem. Even if the leak is small, it may cause a bigger problem in the long run. Blocked drains are an annoying and one of the most common problems in a lot of homes. There are a lot of factors that may cause blockage in drains, the most common one a foreign objects or debris that is stuck inside the drains. There are many things that may cause the accumulation such as soap, hair and toilet paper, which usually starts as a small obstruction and continues over time to collect materials in order to prevent the flow of water. To prevent further problems, this requires immediate attention. Heavy rains and storms may block drains because these collect leaves and may damage the property. Broken pipes can block drains because water can’t move freely in broken pipes and the main cause of that is the use of bad pipes and a poor installation. If this problem happens in underground pipes, it will cost a lot of money. This, it should be installed by professionals. Incorrect pipe installation can lead to the same problem.